Tubular solenoids provide a fairly flat force stroke due to their tubular shape and plunger geometry. Tubular solenoids, like other linear solenoids, are on/off type actuators that develop force in one direction when energized. The return force must be provided externally, via a return spring for instance. 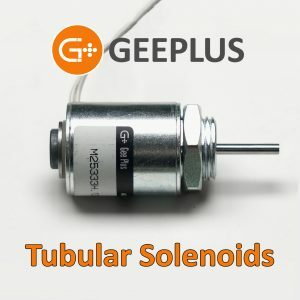 Tubular solenoids are especially optimized for long strokes.